The Jewel Hotel is located steps from Rockefeller Center. 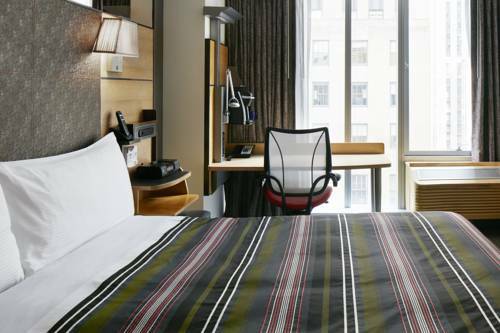 Ideally situated at 51st street - this gleaming Midtown Manhattan hotel is just steps from 5th Avenue - St. Patrick s Cathedral - the Rockefeller Center Promenade and Radio City Music Hall. Easily accessible to Times Square and the Theatre District.